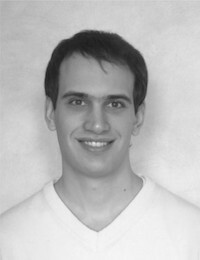 Federico Ferliga is a PhD candidate in the School of Physics, Trinity College Dublin. Federico obtained his MSc in Mechanical Engineering from the University of Padua in 2017. During this time, he spent six months as a visiting scholar at the Department of Aerospace engineering at Georgia Institute of Technology, USA. Following this, he worked for Endeco S.p.a (Italy) as a project manager. His research interests are related to combustion and in particular to gas turbine combustors applications. The cleanliness of gas turbines is challenged by their propensity to emit harmful oxides of nitrogen (NOx) which must comply with very tight legal standards. Gas turbines can form these harmful pollutants if the operating conditions of the turbine are not tuned to the particular physics and chemistry exhibited by the burning fuels. The problem is that these particulars are defined by the chemical structure of the fuel, change the fuel, – change the chemical structure – change the operating conditions of the turbine in order for it to operate cleanly and efficiently. The MaREI research team at TCD has been set the challenge of exploiting and interpreting the physical processes and chemical mechanisms of the burning of natural gas and crude oil in Siemens gas turbines. Prof. Stephen Dooley’s research team must first work to understand the details of this complicated process for Siemens engineers to adjust the design and operating conditions of their gas turbines to become more efficient and cleaner when operated with these fuels.